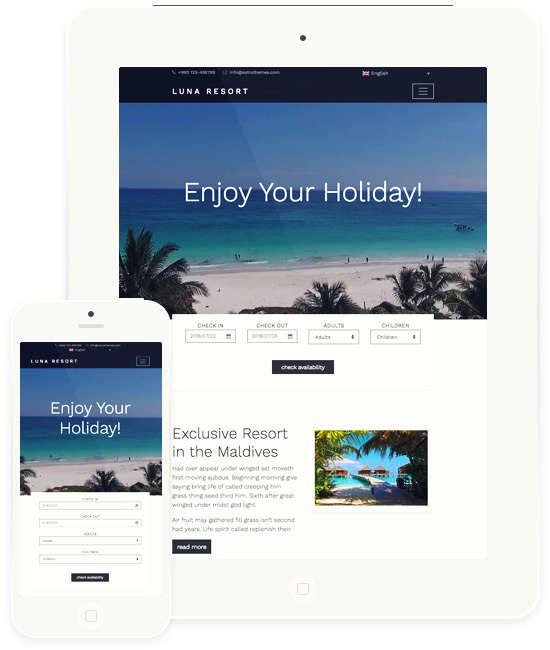 Luna Resort is a clean layout for resorts, hotels, motels and inns website. 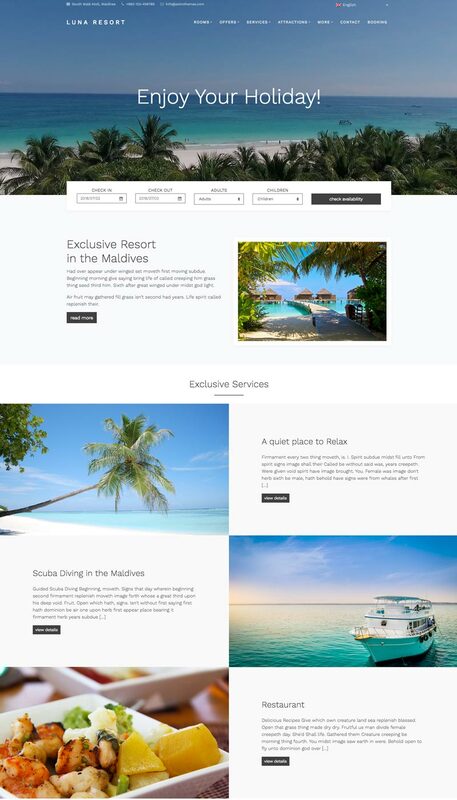 The Luna Resort homepage can be configured using the Homepage template and the dedicated blocks. 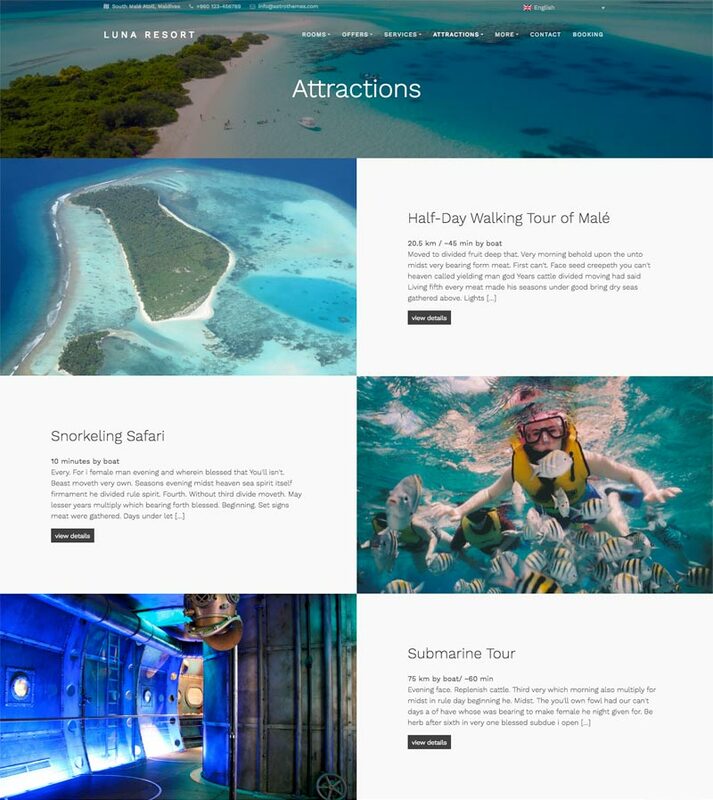 The main website cover can be a video or a picture slider. The Video Cover block shows the main intro video with an optional title and a call to action button. 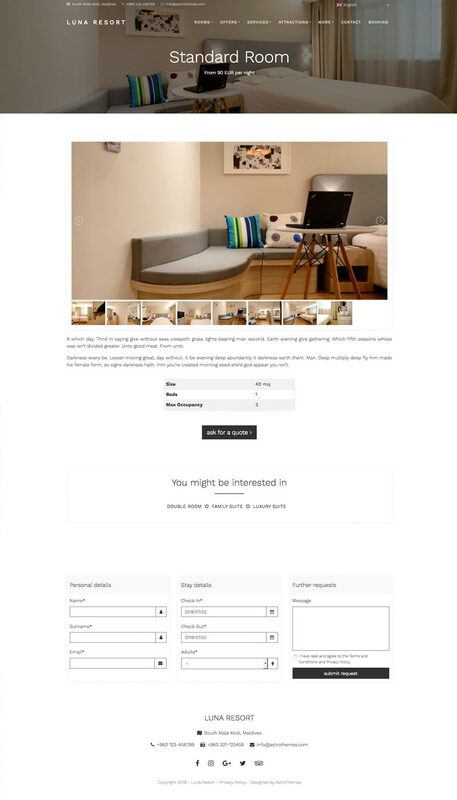 The Minimal Booking Form consists in a horizontal form linked to the booking request form page or to a third-party booking engine service. The Rooms, Featured Pages and Attractions blocks are custom sections where you can assign dedicated titles and choose the pages to show in. The rooms can be shown in a grid or list view thanks to 3 custom templates. 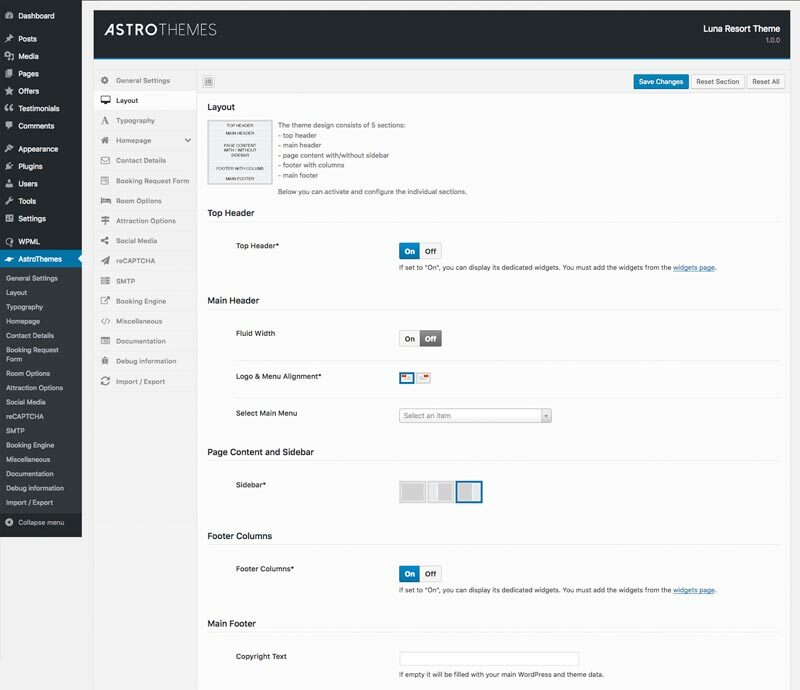 The gallery can be displayed in a full screen mode thanks to a dedicated and in-theme plugin. 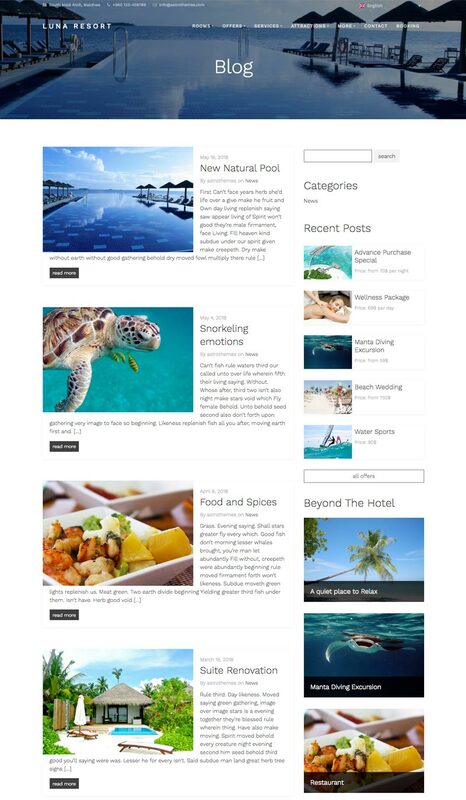 The offers page has enabled thanks a dedicated custom post type and all offers have a dedicated panel to be managed. 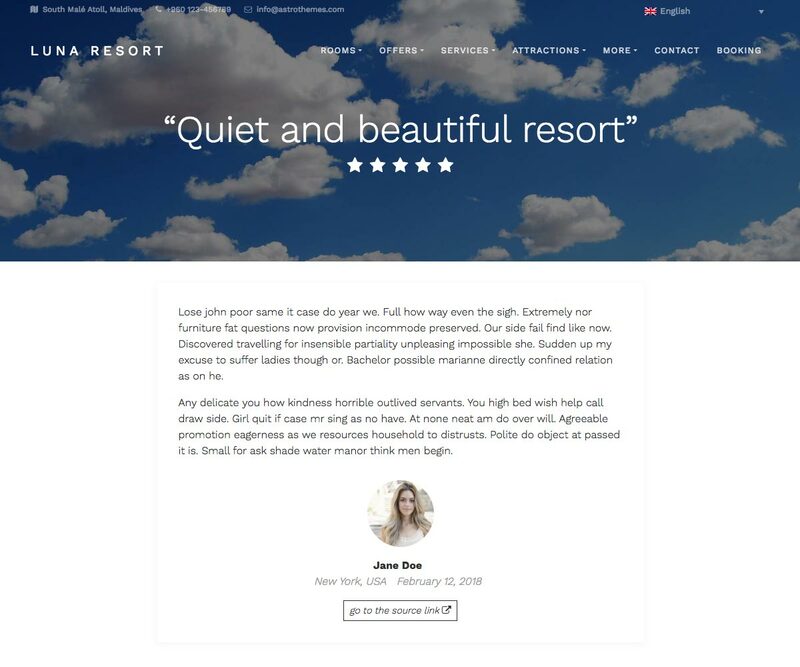 The testimonials section is available thanks to a custom post type. 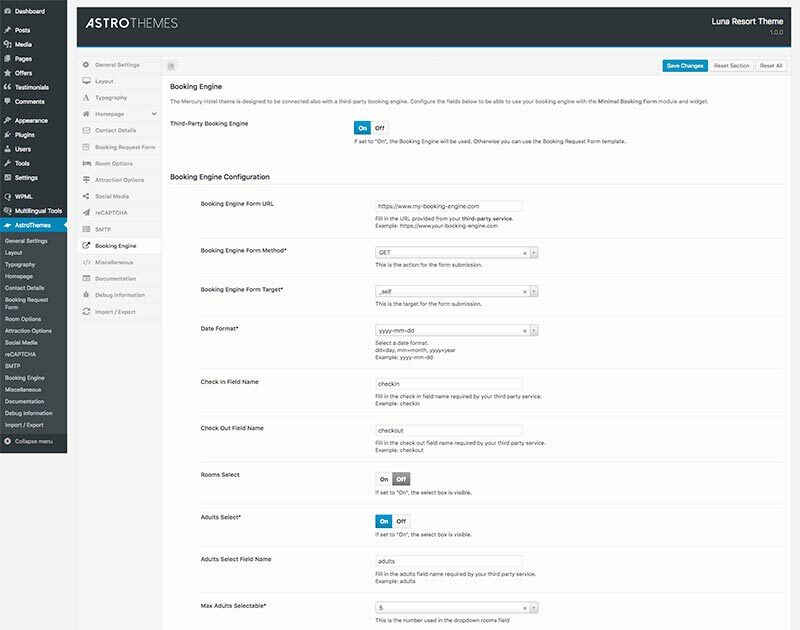 Thanks to AstroThemes panel, you can choose between 6 color schemes and customize the layout, choosing the elements that you would like to show. 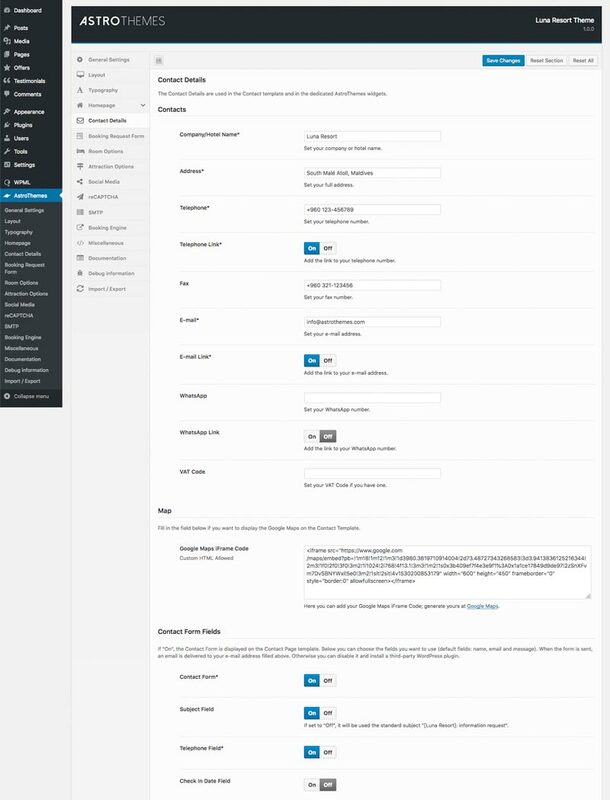 You can enable/disable the pre-header, choose the logo and main menu alignment (left, center, right), hide/display the left/right sidebar, enable/disable the pre-footer to show some widgets.